You just can’t beat a good burger and chips can you? A nice meaty burger, a fresh burger bun, a few toppings thrown into the mix and a few chips… washed down with a milkshake – YES PLEASE!! It’s got to be said though, Dublin hasn’t got a great rep for serving the best burgers. Fast food fills the gap for all of an hour and when you want a really good, high quality filling burger (none of your flat as a pancake cheeseburgers here thanks!) it’s not always so easy to find around Dublin city….. until now that is! 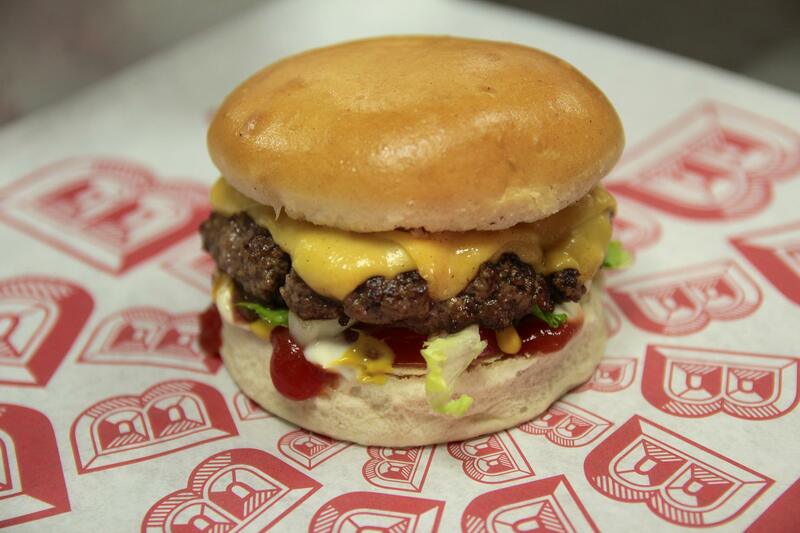 Enter onto the scene Bunsen, a brand new burger restaurant on Wexford Street. They opened the doors last week and to say they’ve been busy is an understatement. I spoke with Tom Gleeson, restaurant owner and chef, to see how things were going there and where the idea for Bunsen came from. 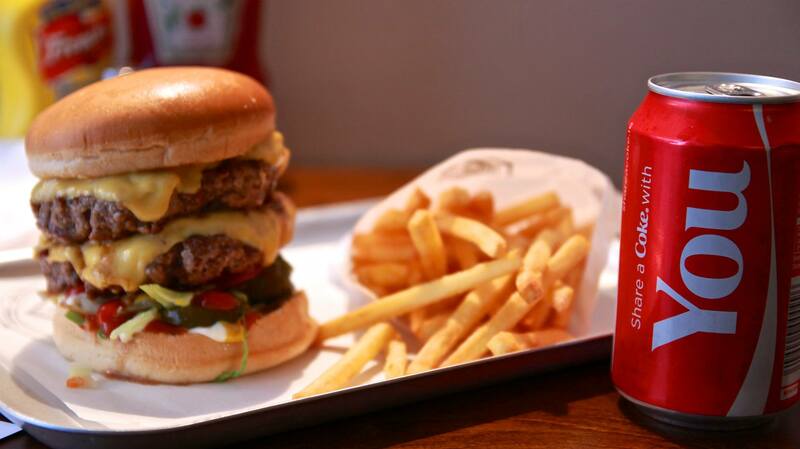 He is very much focused on getting the main elements perfected and is all about offering a fantastic burger and bun with simple basic toppings that have been used on burgers in the States for over 70 years. This is evident in the pared back menu that simply boasts a beefburger, a cheese burger, some toppings, chips and a drink or milkshake! That’s all folks – no messing around here! All their beef is Black Aberdeen Angus and is bought from the renowned FX Buckley butchers so you know you’re getting high quality beef that’s actually from a farm in Cavan. It’s clear that Tom is passionate about bringing a really great classic American beef burger to Dublin. He names Danny Myer of Union Square Café in NY as someone who he really admires. While he says he learned a lot of valuable information studying under Heston Blumenthal, it also helped him realise that he wanted to go down a slightly different route for a chef and focus on more simplified cooking. Future plans for the restaurant are to add some more toppings, some secret menu options and something to keep the veggies happy too. Judging by the queues down the street during opening week and a few celeb visitors (Tommy from Love Hate anyone?!) this place is only going to get bigger and better. I know where I’ll be heading for some serious soakage at lunchtime this weekend 🙂 I mean seriously check this out for a burger!! Lots of buzz on Twitter for this place, I can’t wait to try it! It looks and sounds brilliant, I wanted to lick my computer screen when I seen that burger shot! I’ve been told it’s far superior to Jo Burger and Bóbós. Can’t wait!!!! DublinDiary – they’re defo getting really good feedback so far anyway! So cool to see a review about the place….I’ve walked past there a few times and got curious about the place. How are the prices? It’s actually slightly cheaper than Gourmet Burger for the actual burger at about €7 and pretty much the same as GBK & Eddie’s for chips at €3 …. pretty filling burger though!